Tom Rusk, Event Coordinator for Mayberry Comes to Westminster, SC. 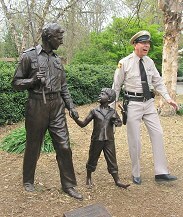 Raleigh, NC - The Mayberry Deputy with TV Land Landmark statue honoring The Andy Griffith Show. 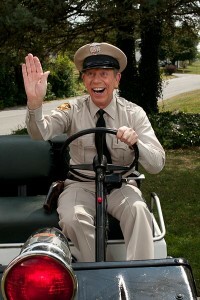 “AN EXTRAORDINARY ENTERTAINER who excites the delegates and evokes pleasant memories of the delegate’s own “Mayberry”. He has become a welcome member of the Safety and Health Congress family. 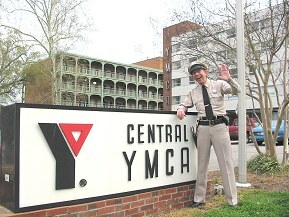 Raleigh, NC - The Mayberry Deputy visits Barney's favorite place to stay when in Raleigh, the corner room at the "Y." “You were the HIGH POINT OF THE CONAGG CONVENTION (in Las Vegas), Thanks”. David with Beyene Brhana originally from Ethiopia.